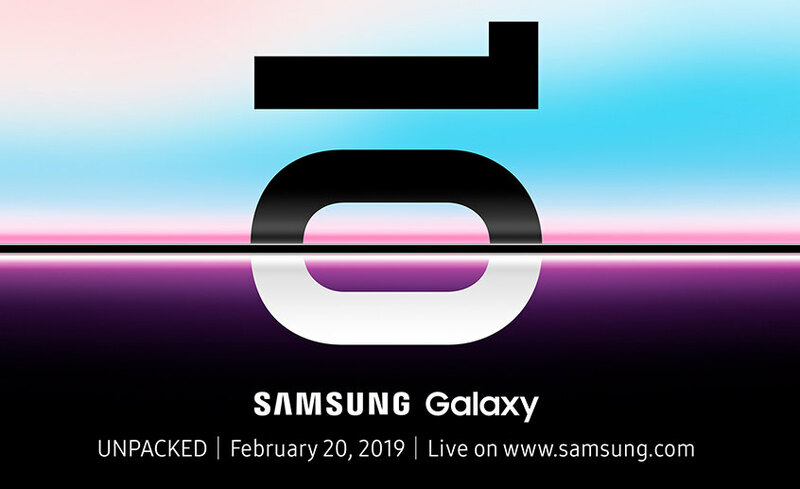 As rumored earlier, Samsung has sent out invites for its Galaxy Unpacked event 2019 event in San Francisco on February 20th, where it will unveil its flagship Galaxy S10 series. This is before other companies unveil their flagships at the MWC 2019 in Barcelona from February 25th. Earlier rumors reveled three variants of S10 with 5.8-inch, 6.1-inch, and 6.4-inch Infinity- O screens to house an in-screen camera, and there will e Qualcomm-built in-display fingerprint scanner for top-end S10 and S10 models, while the Galaxy S10 E (Lite) is said to skip it for a side-mounted fingerprint scanner. The flagships will be powered by the Exynos 9820 8nm SoC with Tri-cluster CPU, integrated NPU, up to 2Gbps LTE-Advanced Pro modem while the variant that will sell in the U.S. will be powered by the upcoming Snapdragon 855. Camera details and other specifications are still a mystery. Earlier rumores revealed that the phone will be available for pre-order soon after the announcement and go on sale from 8th of March. We should know more details soon.